A bipartisan movement calling for climate action. 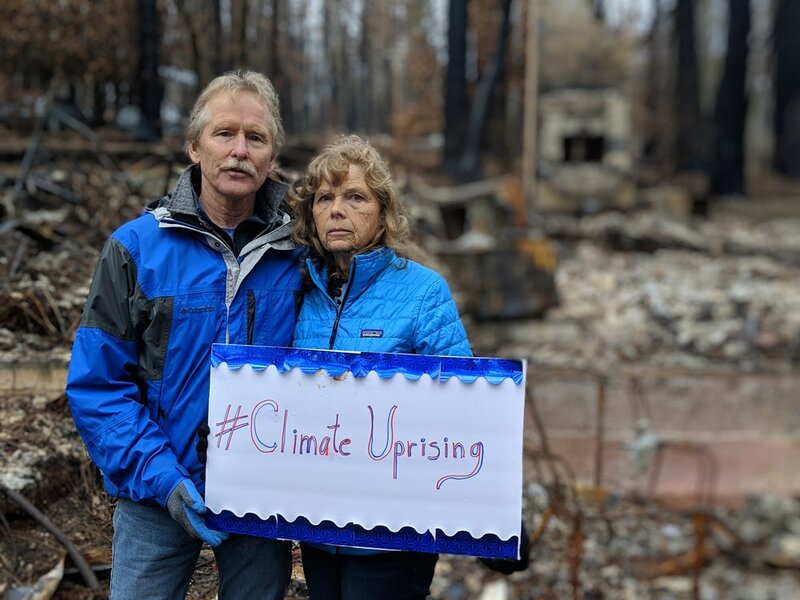 After the climate fueled wildfire destroyed the town of Paradise on November 8th, 2018, Nirvan co-founded the #ClimateUprising movement and movie, to create a platform for sharing stories of those already impacted by climate change, and to join a growing global call for bipartisan climate action based on the consensus of science. The project consists of social media content, a feature documentary film, and building a movement starting in Paradise, California - with the belief that stories can be powerful vehicles for impact, and that Paradise can be to climate change what Parkland was to gun reform. Like Caine’s Arcade, the Climate Uprising began unexpectedly. Nirvan helped to crowdfund and organize a trip to send wildfire survivors from Paradise to Washington D.C. to attend a National Town Hall on the Climate Crisis and to meet with elected officials to share their stories. Bernie Sanders met with the group of wildfire survivors and community organizers, including CA-01 Congressional candidate Audrey Denney, who had lost her Congressional election bid on Nov 6th to a climate denier (Doug LaMalfa). The wildfire hit 2 days later. 3 weeks after that, Audrey joined the trip to D.C. to help the wildfire survivors navigate meetings with Congress and Senate. Nirvan and Audrey also made plans to host a Town Hall on the Climate Crisis in CA district 1 to allow more of the 52,000 people displaced by the wildfire to be part of the conversation and to add their voice to a bipartisan call for climate action. Nirvan decided to follow the story to the 2020 election as a feature film, while help to build a movement toward making Climate Change the #1 consideration when voting. Join the #CLIMATE UPRISING and start your own chapter. We must rise before the sea.